Air France - is the leading European airline for international passenger transport. Thanks to its extansive network covering 187 destinations worldwide in 84 countries and very competitive fares, Air France is also very strong on long haul flights from UK and Ireland. From the UK, Air France has 57 daily direct flights to France (44 to Paris). From Ireland Air France offers 13 daily direct flights, including 6 to Paris and 5 to London City. Air France is also strong from the regions, offering the possibility to book from 9 UK departure airports. How much can you earn? This commission structure is based on the number of sales and the type of sales you make and is tiered between 1.5% - 2.2%. With this commission structure you could earn as much as £20 per sale. Check out the Airfrance Flight Booking Panel you can add to your web site. Air Malta - is the national airline of the Maltese Islands. Why add Air Malta to your site: Air Malta operates a conveniently timed flight schedule to/from main European city airports, offering easy access and connections with a reliable flight schedule. Together with partner airlines, Air Malta offers a network of over 100 destinations. Air Malta operates flights to/from main European city airports, offering easy access and connections with a reliable flight schedule. Together with partner airlines, Air Malta offers a network of over 100 destinations. The Maltese airline maintains its commitment to offer value for money prices and superior service in both its economy as well as business class cabins. The Maltese airline maintains its commitment to offer value for money prices and superior service in both its economy as well as business class cabins. Real time flight availability; Multilingual content; The airline also offers customers free allowance of one 10kg hand luggage and a one piece 20kgs free baggage allowance even on its lowest ‘Simply Fly’ fare. Business Class passengers are given an allowance of two pieces of hand luggage for a total weight of 15kgs and up to two pieces of hold baggage allowance. They offer a 2.5% CPA rate and are open to new exposure opportunities. Avis Car Hire - began in 1946 when Warren Avis opened his first car rental location at Willow Run Airport, Detroit - the first car rental operation at an airport location. Today Avis is Europe's leading car rental company serving over 8 million customers annually through 140 rental locations in the UK, and 4,000 worldwide. “We Try Harder” is the spirit of Avis and the promise it strives to deliver on. Energy, enthusiasm, innovative industry leadership and an ethos of continuous improvement have characterised the company throughout its long history. They offer a wide range of products and services to meet customer needs and a choice of cars from over 40 different models. As a leading, globally known brand in the travel industry with excellent online rates, conversions are extremely high. Bookings not made on avis.co.uk will not be paid commission so ensure all traffic is directed to the UK website! Avis are offering 8% commission on all Sterling bookings made on the avis.co.uk website - which account for the majority of transactions. Balkan Holidays - With nearly 50 years experience Balkan Holidays is the leading specialist tour operator for Summer Sun or Winter Ski, value for money holidays to Bulgaria, Croatia, Montenegro and Slovenia from up to 20 UK airports. Our choice of holidays includes traditional package beach or ski holidays, lakes & mountains holidays, all inclusive holidays, twin centres, coach tours, cruise, city breaks, golf holidays, spa and wellness breaks, luxury holidays and even weddings. We also offer flight only on our charter flights to Bulgaria. We offer 3% commission on all package holidays and 1% on our flight only and hotel only bookings. Best Western Hotels Great Britain - has over 280 independently owned and managed hotels throughout Great Britain, each with its own charm, character and personality. Whether customers are looking for coastal charm, a rural retreat or city chic Best Western have a hotel that is perfectly placed for their needs, whether they are staying on business or simply enjoying some well deserved leisure time. Their properties include castles, coaching inns, modern city hotels, golf hotels and spa hotels. Earn 5% commission on all bookings for Best Western Hotels Great Britain. Booking Buddy - As part of Smarter Travel Media (a TripAdvisor, Inc. company) BookingBuddy is backed by a dynamo team of experienced, exceptional online travel business specialists. Did we mention that you could also mix the best of our site with the best of yours! BookingBuddy offers it's sstrategic partners the opportunity to create an integrated travel search widget that matches their site's visual appearance. This lets affiliates maintain control of their brand and gives their visitors a great search experience. Please note that we are not a booking site, and instead a comparison search engine. Your commission will be based on a variable CPC we earn and not a booking for any travel. As a BookingBuddy.co.uk affiliate, you can earn 50% commission. Join the BookingBuddy Travel Affiliate Program and offer your users an easy way to search over 140 travel sites and access to over 70,000 travel deals. The more your users search the higher your revenue potential. BookingBuddy pays affiliates 50% commission on the revenue generated by each search a user conducts. Canvas Holidays - offers high quality family camping holidays at over 90 of the finest handpicked sites for camping across eight European countries including France, Spain, Italy, Croatia, Austria, Switzerland, Germany and Holland. Canvas Holidays provides self-catering accommodation to suit all budgets including tents, mobile homes, lodges, treehouses, fairytale cottages and roulottes (gypsy style caravans) as well as offering flexibility on dates, duration and travel arrangements. Canvas Holidays was the first tour operator to offer package mobile home and camping holidays to Europe over 40 years ago, and today is one of UK’s leading camping and outdoor-living tour operators. Earn 10% commission on sales. CarTrawler™ - is a next generation global car rental distribution system, now serving over 95 international airlines and over 1,500 online partners, enabling its customers to access pricing, availability and bookings from over 450 car hire suppliers in 134 Countries globally in real-time, from within their existing sites. By integrating CarTrawler technology into booking engines CarTrawler facilitates the dynamic cross-selling of car rental a high yield, uncomplicated product - into Airline, Hotel, Online Travel Agents (OTA's), National Tourism Organisation & Travel Agency Call Centres across all customer touch-points. "Generating immediate revenue, the fully customizable CarTrawler™ technology offers real-time access to car rental availability and seamless integration with the Partner’s website through a multi-lingual AJAX Booking Engine.” CarTrawler™ provides proven technology to generate revenue through implementing a stand-alone booking engine solution for car rental in the travel industry or dynamically packaged with your existing product suite. Customers can choose to use their own branding whilst offering a seamless transaction for the customers. CarTrawler™ technology is designed to accommodate “pay on arrival” bookings. By offering customers the ability to pay a small deposit upon booking and paying the balance on arrival, CarTrawler™ is able to provide customers a streamlined, customized booking experience leading to high customer retention and satisfaction with transparent pricing in the CarTrawler™ system increasing customer confidence. This payment option offered through the CarTrawler™ solution has had proven success, “no-show” rates are among the lowest in the industry. CarTrawler™ processes all commission payments on a monthly basis through an automated electronic funds transfer. Partners earn a very competitive commission, based on bookings milestones. Check out the Cartrawler Booking Form you can add to you site. Chessington Holidays - offer amazing value Chessington World of Adventures break packages including one and two days in the park, a broad selection of comfortable nearby hotels and all manner of family-friendly local attractions. You can choose from luxurious hotels complete with pools and spas, perfect for mum and dad to unwind after a hectic day at the park, budget-friendly hotels, ideal for families watching the pennies, or anything in-between. Here at Chessington Holidays we really do strive to offer packages suitable for every family. As a preferred Chessington World of Adventures partner we endeavour to bring you fun for all the family at the lowest possible price. We also offer the peace of mind that comes from booking your family adventure with an official Chessington World of Adventures provider. The average booking value is £260 and we pay between 7.5%-10% commission, so you could earn up to £26 per booking! City Sightseeing© -is one of the most original travel brands worldwide. Our popular red, open top double-decker buses are found in more than 110 cities across the globe and many travellers now prefer the Hop-on Hop-off tour concept to explore a destination. New York, London, Paris, Cape Town, Barcelona, Melbourne, Dubai… our passengers –14 million in 2016– can hop on and off as many times as they like at any of the bus stops on the route and see all the best sights and attractions that cities have to offer. While on board, pre-recorded audio commentary is provided through headphones in multiple languages, giving important facts and information about what is being seen. Many tours also have a live guide. Why should you join our Affiliate Program? One of the most well-known travel brands worldwide: +12 million passengers annually. Tours in over 110 cities, 30 countries & 5 continents. Up to 10% commission on every sale. Bonuses & incentives for high performance publishers. Corus Hotels - With over 65 hotels in the UK, ranging from Scotland to the West Country, Corus hotels are one of Britains largest hotel groups. Whether it's a weekend break or romantic getaway you're looking for, there's bound to be a Corus hotel somewhere nearby to fit the bill. Hotels range from historic coaching inns and manor houses to modern city centre hotels. Corus properties are full of character, retaining their own unique local point of view without the predictable, formula approach of most hotel groups. Earn from £7.50 to £10.00 per sale. Check out Corus Hotels Discounted Rates. Crystal Travel - is one of the UK’s leading Travel Agents established for over 38 years and experienced in all areas of personal and corporate travel. Because of our special relationship with over 80 partner Airlines and thousands of hotels worldwide we can offer Flights, Accommodation, Tour Packages and Business Travel at lowest possible cost. Together with our experienced staff and 24 hour/365 day operation we offer a personalised and extremely efficient travel and after sales service and all at the most competitive prices in the UK. Flights only booking £5 commission. Hotels only booking mini stay 3 nights £5 commission. Czech Airlines - is one of the oldest airlines in Europe. We have provided services to passengers since 1923. Right up to the present, we have gained an enormous amount of experience and have grown into a modern airline, boasting a number of awards for the quality of our services. Czech Airlines, as the flagship airline carrier of the Czech Republic, provides air connections from the Czech capital, Prague, to most European capitals. Our flight schedule naturally also offers connections to the Near East and North Africa. Thanks to our more than eighty years of experience in air carriage, Czech Airlines is a sought-after service provider for other airlines. The range of the services we provide is very broad. Scheduled carriage is our main activity, but certainly not the only one. We provide charter flights to tourist centres for tour operators, and carry goods and cargo for companies. Our activities also extend to ground services – aircraft maintenance, crew training, preparation of the refreshments served on board, and duty free sales at airports as well as during the flight. Our Affiliate Program on zanox covers many sales regions - our partners can promote our Czech Airlines in Belgium, Slovakia, Switzerland, Germany, Poland, Spain, Hungary, Italy, Romania, Russia, Finnland, France, Belgium, Sweden, Greece, Cyprus. Commission models: 2,70 EUR CPS for metasearch engines; 3,80 EUR for all other publisher channels. Downunder Insurance - offers backpacker insurance and cheap travel insurance for travellers, backpackers and holidaymakers living in the UK, Australia and New Zealand. Backpacker Insurance from Downunder Insurance means you get great cheap travel insurance at a very low cost so you have more money to spend on your travels. DownunderInsurance offer UK travel insurance, Australian travel insurance and New Zealand travel insurance to all worldwide destinations. Ideal affiliate program for anyone with younger visitors (they can not insure anyone over 55 years) who like to travel internationally. They offer 10% off online for your visitors. Earn 10% commission on sales. ebookers UK - At ebookers we’re passionate about travel. We believe in more surprising, more extraordinary, more rewarding travel experiences. From the awe-inspiring Northern Lights of Scandinavia, to the sparkling cultural heritage of South America, we help our clients find perfect holidays, all over the world. ebookers is part of Expedia Inc., one of the world's leading full-service online travel agents with localised websites in 7 European countries. More choice - With over 400 airlines and more than 270,000 hotels we have the largest collection of holiday combinations globally, giving customers the best choice for any trip. As well, with our Price Guarantee customers can always be sure that they are getting the best price for their trip. More Savings - Customers can save up to 15% when booking a flight + hotel together. Secure incredible value with ebookers price guarantee and get the best hotel prices only when you register with ebookers Insider Pricing. More Rewards - With our BONUS+ rewards programme customers can earn up to 5% cash rewards on travel purchases that you can instantly redeem on hotels while getting free upgrades, Wi-Fi, breakfast and exclusive benefits. We offer publishers one of the most competitive commission rates in the market and give you all of the tools you need to maximise conversions and commission. You can earn commission on our wide range of products from flights, hotels, car hire, flight + hotel and activities, all with a 30 day cookie window. Commission rates: Flight 1.2% per transaction; Car 5.5% per transaction; Hotel 6% per transaction; Hotel+PC 3% per transaction; Package 3.5% per transaction; Package+PC 2% per transaction; Activities 12% per transaction. Exoticca UK - is the future of travel. We are dedicated to offering exclusive and invaluable travel experiences. We are committed to providing the utmost level of comfort, quality and innovation, whilst always ensuring we offer the most competitive prices on the market. Our exclusive travel offers are offered for a limited time at incredible prices. Transparency and exclusivity form the basis of our unique offers. The essence of Exoticca lies in its respect and admiration for other cultures, for this reason we collaborate with charities for good causes, helping those in less fortunate regions of the planet. Exoticca carries out various solidarity actions and offers its customers the ability to donate a percentage of their booking fee. Commission: 7.7 %. Cookie period: 90 days. Average purchase price: £3,500. Expedia.co.uk - One of the web's top travel sites. Book flight's hotels, car hire. You will earn: 1% on every flight transaction, 5% on every hotel transaction, $16 for every car transaction, 2% on every Expedia epackage transaction. The Expedia sales conversion rate means that every visitor is more likely to become a customer. Join now and start earning on all flight, hotel, car and Expedia holiday transactions. 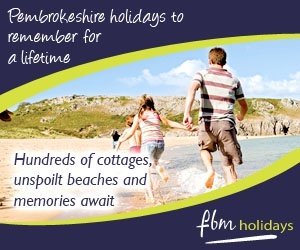 FBM Holidays - is one of the most successful self catering holiday agencies in West Wales. FBM Holidays is located in the beautiful seaside town of Tenby, where our local staff can advise you on any aspect of your holiday. For well over a century FBM Holidays has been the leading name for self-catering holidays and year-round short breaks in beautiful west and south-west Wales. And this year, we've gone even further than ever to offer you the best possible choice of attractive holiday properties, in the most stunning locations - and at the best ever value-for-money prices. FBM Holidays are the longest established holiday cottage letting agency in West Wales. We have an outstanding reputation and a large range of premium properties. Our average holiday value exceeds £600. We pay £19 per sale. FHR Airport Hotels & Parking - have been serving travellers for over 28 years and offer a range of hotels (including Hilton, Holiday Inn and Marriott), airport lounges and car parks (across 20 airports across the UK) to suit all budgets. They work with a number of established and reliable companies to ensure that your holiday gets off to a great start. This includes transport to and from the airport terminals as well as guaranteeing that parking is always at manned and secured sites Here are just some of the reasons to promote the program: - 10% commission (3% commission is paid if a voucher code is used) Services available at all major airports including Gatwick, Heathrow, Manchester, Glasgow and Edinburgh Generic discount codes available. First Choice Holidays - are part of the TUI Travel PLC Group of companies – the UK’s leading leisure travel company, specialising in sun holidays worldwide and charter flights. They are the family friendly travel provider with fantastic resorts, units, pools, products and services. First Choice’s advertising strategy is to grow preference for First Choice among family audiences by reinforcing perceptions of First Choice as the family holiday expert. Why First Choice is the family specialist: Kids Clubs – FC have more kids clubs (this includes crèche, kids clubs and teen clubs). Kids clubs are well equipped /bright/entertaining Play & Learn - Activities tied in with the national curriculum Get Active - Teaching kids to keep fit from Summer 09 – including yoga, fit n’ fun, family Olympics, Tattybumpkin Activity Volumes - In other resorts/hotels there’s not always something going on all the time for everyone – but at a FC HV there is! Baby packs - Baby packs and buggies are supplied at hotels, available for parents to purchase, saving room in their luggage Luggage allowance - From Summer 09 parents will be given an extra 10kg for babies luggage Kids rooms - Entertaining kids outside and inside the rooms is key to us – we offer tv’s, dvds, games console, bunk beds, colourful rooms, fun rooms, just as a kids room should be Teenagers - We are the leading in teenage provision Crèche - We offer a crèche service up to 11pm at night allowing for parent time Please note: First Choice has chosen not to work with Voucher Code affiliates at this time, any affilaites found to be driving traffic via these means may have their commissions reversed. Earn 2% commission on sales. The First Choice program offers advanced links for your site including this example for the First Choice Holiday Village Costa Del Sol. Globehunters - Wherever you are looking to go, we have the flight for you! To ensure travelers receive the best flights value with great service, we have established close relationships with airlines throughout the world. Earn commission of $12 when a customer makes a valid flight booking. We can provide a list of our top destinations per website to promote in order to increase your conversion rate due to our competitive prices. Please note the commission is paid only for flight ticket sales and payouts to affiliates are based on bookings, not travel consumed. Globelink Travel Insurance - are an independent insurance agency/brokerage serving the insurance needs of the travel community. Globelink's range of policies has been specially selected to provide a sensible level of cover at reasonable cost. Globelink aim to provide cover for virtually any of your requirements. Cheap travel insurance annual travel insurance backpacker insurance and ski insurance cover online. With instant online quote and immediate cover on the internet or by telephone it has never been so easy to purchase annual holiday insurance and annual multi trips in the UK and Ireland, annual insurance policies with optional ski insurance our backpacker insurance cover for single trips, long stay and long term products for Europe or Worldwide, Australia and New Zealand all include adventure sports and many hazardous activities. Globelink.uk.com Affiliate Program allows you and your clients to purchase our range of travel insurance policies on the Internet through your agency's website, automatically crediting you with the sale. Affiliates will earn 10% - 15% for every sale you generate and 25% of all sales generated by 2nd tier affiliates! Globelink offer Website Integrated Quotation Wizard installed at your website, due to which your visitors do not have to leave your site to purchase the policy, they can do it straight on your web site, so you will not lose your potential customers. Goldcar - Travelling the world together since 1985. The company, with more than 30 years of experience, currently has more than 80 car hire offices, located at major airports and tourist destinations. A wide network of customer service present in Spain, Andorra, Portugal, Italy, France, Greece, Malta, Netherlands, Romania, Croatia, Morocco and Mexico. The group offers its clients more than 50,000 vehicles of which more than 80% are renewed every year, providing one ne of the youngest fleets in Europe and a highly skilled workforce of over 1,000 professionals dedicated to providing clients who trust in Goldcar’s transparent and innovative quality of service. The most competitive commission rates in the market: 6% per sale. Enjoy a promotional commission rate of 8% per sale until 25th January 2017.